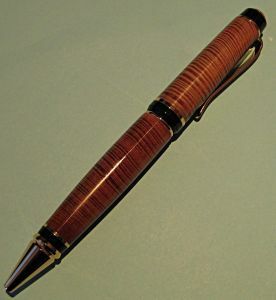 Anyone here every turned a pen out of fat lighter? If so, how'd it glue, turn, and finish??? Something tells me it would be problematic on all counts. Definitely some trade-offs when working with very resinous pines . Kind of prefer no finish myself , because I love the smell . Grain around knots , and even into the pith , can be gorgeous on any pine I`ve tried . 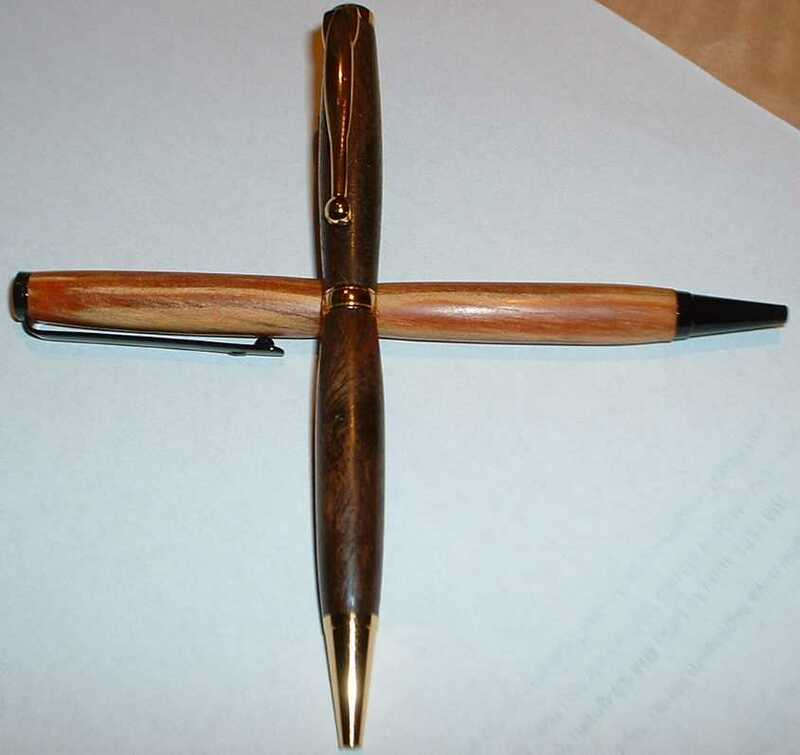 I"ve turned a couple of pens and a few bowls out of heart pine and fat wood. resin builds up during sanding. What I do is wipe it down with acetone between grits. And I agree wtith Wayne, no finish. It polishes up beautifully with all of that resin. Turn with very sharp tools; love the smell and the look! Depending upon what the grain looks like, consider also crosscut or diagonally cut blanks. I finish using acetone followed by CA—hand oil on a friction finished pen usually becomes muddy looking. I have a few of these in my album.